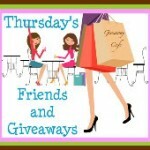 I’m following this Blog Hop Today. I am also trying to build my Facebook Followers, so if you have a facebook page and decide to follow, leave me a message, that way I can follow you back. hey there, thanks for stopping by n following my blog... i'm following right back!! love your blog! please visit mine when you have a chance! Hi new follower from the Sunday relax and Surf Blog Hop. Just adding you to twitter and facebook too.